[Depoe Bay, Oregon – June 2018] – Crystal Investment Property, LLC, (CIP) a member of Hotel Brokers International, announced the successful sale of the Depoe Bay Inn in Depoe Bay, Oregon. CIP, a licensed Oregon brokerage, represented the Seller in the sale. Joseph P. Kennedy, President of CIP, worked closely with the Seller and Buyer, as well as the parties other professionals, to negotiate a mutually acceptable sale. The final sale price is confidential. Depoe Bay Inn is an adults only hotel that is ideally situated on the world’s smallest harbor in Depoe Bay, Oregon. Property features 14 keys, interior corridors, and sought after waterfront location. This midscale boutique hotel is pet-friendly, adults only, and offers a breakfast area, meeting rooms, and amenities such as fireplaces, waterfront patios, and jetted tubs. 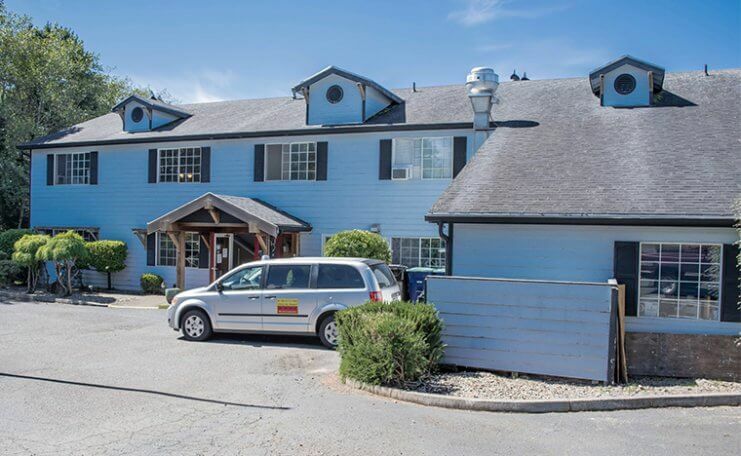 The hotel is the only lodging on the harbor and conveniently located near shops, restaurants, charter fishing, whale watching and 30 minutes away from Chinook Winds Casino, or downtown Newport. Crystal Investment Property, a premier hospitality investment advisory and brokerage company located in the Pacific Northwest, maintains the most cutting-edge technological, online and social media presence as well as a full range of traditional and web-based marketing reaching local, regional, national and international clientele. The firm’s core services of hospitality asset acquisition/disposition are supported by innovative and creative solutions to maintain position as the most active and successful hotel broker in the region. Crystal Investment Property represents the full spectrum of hospitality real estate owners and their experience covers all hospitality assets types, including full-service hotels, boutique hotels, select service hotels, limited service hotels, as well as development projects, and leasehold transactions. Crystal Investment Property may be accessed online at www.crystalip.com. [CIP] has been consistently a real pleasure to deal with on all levels. Consummate professionals whose communication skills, along with their sincere drive, create successful, smooth business transactions. I have not found a better group in their field.